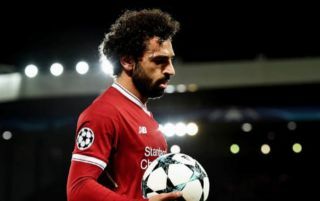 Mohamed Salah injury: Will he play against Everton? Liverpool manager Jurgen Klopp has provided an update to the injury of Mohamed Salah and has revealed whether he will play in the Merseyside derby tomorrow. Salah came off against Manchester City in the Champions League first leg after pulling up in the second half. Jurgen Klopp has tough decisions to make whether he will rotate his team ahead of the Champion League second leg at the Etihad, despite this, the German insists he will field a strong side against the Toffees. He will also be wary that Tottenham will be looking to close the gap on them in third place – which garners automatic access to the Champions League group stage next season. Salah has starred for the Reds in the league this term, and has scored 29 goals in 31 league games – averaging an incredible 86 minutes per goal this season. But Klopp is not willing to risk further injury to his star man unless he is completely fit. “I cannot make Mo available just because it is a derby,” said Klopp. “I would never do that. It is impossible. “You cannot push a player into the game just because [it is a derby]. I don’t even think our supporters would want us to do that.